When it comes to keeping your Mazda running well, there are few maintenance tasks more important than a Mazda oil change. That’s why we use only high-quality, manufacturer-recommended motor oils and filters. But we’re not just committed to taking great care of your car, we also pride ourselves on making auto service appointments quick and convenient for our customers. Head west on E. Chicago St. toward Campus Dr. Turn right onto Poplar Creek Dr. Turn right onto Bode Rd. Turn right onto IL-58 E./Golf Rd. Slight right onto W. Higgins Rd. Turn right onto N. Roselle Rd. Turn right onto Thacker St. W.
Turn left onto N. Pleasant Dr.
We’ll be on your right at 1320 E. Chicago St. in Elgin. The importance of fresh, high-quality motor oil can’t be understated. 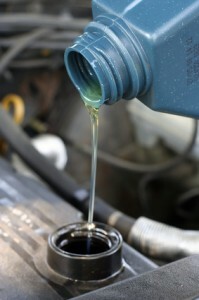 One of motor oil’s essential functions is to keep your engine clean and cool while it’s running. Oil is also what keeps all of your engine’s components from overheating and deteriorating, so you want to be sure that your engine is getting the oil that’s recommended by the manufacturer. Using the right motor oil for your vehicle will help your engine run more powerfully and efficiently and also extend your engine’s life. To get the most out of your car and also avoid over heating your engine, we recommend you change your oil every 3,000 to 5,000 miles or about every 3 months. When you bring your car to our service center for a Mazda oil change in the Schaumburg area, we’ll not only ensure that your vehicle gets the right kind of oil that it needs, but we’ll also take a look under your hood to make sure that everything else is in working order. To top it off, we offer a number of oil change coupons and rotating service specials, some of which include a 10% discount on any repair or maintenance for up to $100 dollars in savings, as well as a Spring service package that gets you a full tune-up for much less than competitors. To schedule for a Mazda oil change near Schaumburg, simply set up a service appointment or call Biggers Mazda at (866) 681-6469. Otherwise, simply visit us at 1320 E. Chicago St. in Elgin. We’ll make sure that your car gets the right kind of oil that it needs for a price you won’t believe.